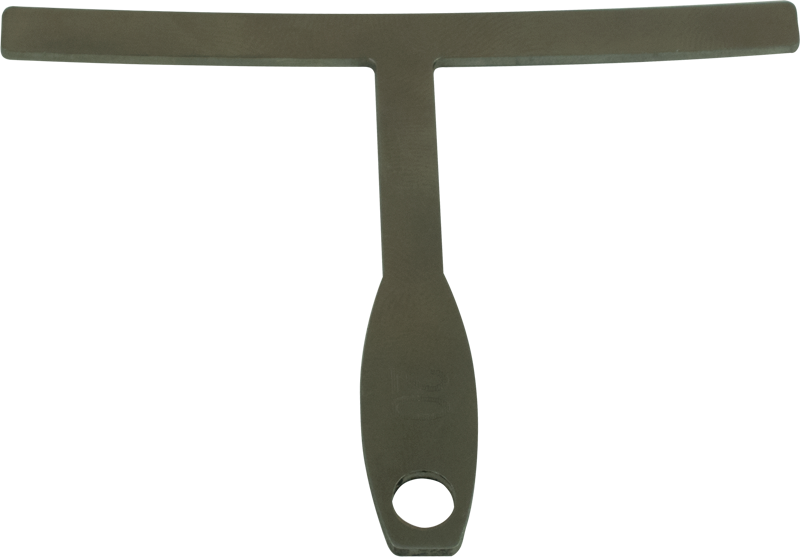 Our low profile aluminum understring radius gauges have a precision radiused top and bottom for accurate measurement. The slim shape allows you to take measurements of several radii without removing the strings on your guitar. Obtain accurate measurements of your instrument's fretboard radius using the bottom radius of the gauge. The bottom radius can also be used to set pickup polepiece height to the string radius. Use the top radius of this gauge to determine the proper height adjustment for the bridge saddles. The following gauges are included in this set: 7.25" 9.5" 10" 12" 14" 15" 16" 17" 20"
Packaging Dimensions 2.781 in. x 2.07 in. x 0.512 in. 1 answers $14.40 for the whole set or each? Thanks!!! Yes this listing is for the whole set of gauges.